Welcome to the SEE SPOT HEAL page. I'm happy to see people like you caring for their animals by showing interest in how to balance your animal's body, mind, and spirit. We have more in common than we previorsly thought. You're likely to see animals as very special because you feel how important they are to humans. You're also likely to be an empath and concerned about providing the best life for your pet. People who are very connected to animals are often lightworkers and healers. It seems we have much in common. You probably want to learn how to improve your relationship with your pet, help your pet be his best self, and also learn how your animals can help you on your path. Before we incarnated on this planet, animals of all species prepared the environment for us. They offered their bodies to help us learn about ourselves. This has been going on for thousands of years, despite human abuse of animals across the planet. They protected us and shared our company. By holding space for us, animals are able to help us stay grounded and anchored in this matrix as much as possible. They are in harmony with us and with each other, and keep the energies of the planet in balance. Some of us are here to heal the grid, some to anchor it, and others are supporting the system. We are learning about social interactions, and one day we'll bring this knowledge back to the place we came from. During our incarnation process, we asked for support from other lightbeings to help us with our work. Family, friends, partners, and animals volunteered to play roles that will help us grow, learn, and be of service to humanity. "Everything is truly connected to everything else"
You created your own reality and your pet volunteered to help you stay on your path. I love animals and I always want to improve their lives. Just like you, i want to find my path, help others, help my pets, heal my trauma, do my work as a lightworker, and be successful in my mission. The goal is to help you and your animal family achieve what you all came here for! I can help you get back on track and integrate mind/body/spirit balancing. This will improve your relationship with your animal family, and help you and your pets heal any blockages that are caused by emotional trauma, contracts or past life incidents. This will greatly improve your animal's behavior and often improves their overall health. By raising your vibration, you can help your pet to reach her/his highest energetic potential. Where is this knowledge coming from? In my early childhood, I recognized that all mammal that interact emotionally with humans, especially dogs, play an important role in people's lives. I lived with many different mammals in my life, foxes, goats, piglets, sheep, dogs, cats, horses, donkeys, etc. Dogs, however, were the most advanced mammals in my life. As a dog trainer and behaviorist, I observed that many dogs with behavior issues had similar traumas and/or health conditions as their owners. I also observed that in many cases, the dogs expressed opposite (mirror) emotions, or the underlying suppressed emotions of their owners. For example the Native Americans understood that even though dogs resided in the human camp they had a close kinship with coyotes and wolves. Because of these relationships, dogs occupied and operated on several levels: they connected the wild and the tame, and they joined nature and culture. Even though dogs were seen as almost human, they were also known to be carnivores and, as such, were linked not only to wolves, coyotes, and foxes but also to bears and jaguars. On the one hand, dogs were esteemed as companions, hunters, and guards. My inklinations to horses started in a very young age, is surrounded by mystery. When i first met a horse in in '74 in Iraq-mesopotamia (near UR) I realised that it was not my first time interacting with one. 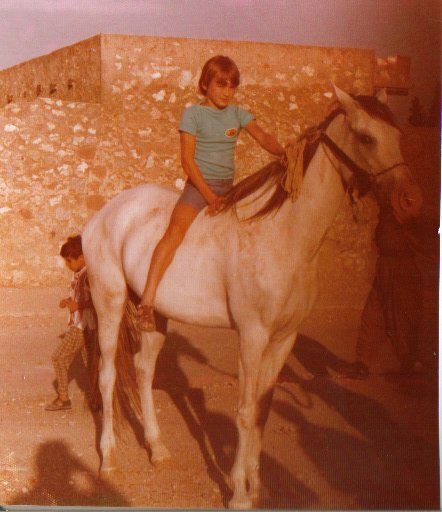 Even 40 years back i still remember the emotions I felt sitting beautiful white Arabian Horse. "finally meeting you again" popped in my heart. over the years for some reason i seem not find opportunities to be near horses due to my traveling, however whenever i got the opportunity i grabbed it. The most amazing thing i felt was the energy, this comforting, loving, trusting and hugging, energy. The awakening begone in 2013 when i was called to work with a German shepherd at Sandy Hook Equestrian Center in Connecticut. After our session with her dog Manager Rebecca Howard invited me to meet her healing horses, and asked me if I pick up any energy of a horse she recently adopted. To my surprise I was able to get a lot of information of the horses past and present. That was the first time i opened my field to other species other than dogs. Horses are amazing animals, with an amazing healing potential for any person. Synergistic healing works with all mammals we feel drawn to, all you need is to feel a connection. How can we combine animals and human healing? Trauma and stuck emotion creates energetic blockages and cause disease in the body. In many cultures we can find the importance of energetic hygiene, and ancient people used rituals, exercise, and meditations to keep themselves clean and grounded. Animals in nature do this naturally. However, in in modern humanity animals can't do that anymore. Modern farming, feeding, new animal husbandry, the way we house our pets, zoos, and parks don't give animals the resources they need to be in balance. Animals get sick, and spreading diseases only confirm that this is not the right way. When pets enter our personal space they can become imbalanced, which causes them stress, illness, behavior issues, and influence the pet's ability to help his human partner in his ascension process. My work with animal shelters, rescues, and local and international clients has taught me that it can be changed. After many years of observation and hands-on behavior healing-transformation experience, I saw the need to create a behavior-healing system that integrates intuitive healing, energy medicine, as well as science-based behavior applications using a strong human animal-bond as the base of my approach. How does SYNERGISTIC Healing work? Our goal is to have you and your animal enter a mutual healing relationship, we employing a variety of modalities, to create an individual emotional session that meets your and your animal's needs and goals. its all based on free will. I want to help you to step into your healing power help your healing partner reach the optimum level of health in return your healing partner will guide you to emotional wounds and events your higher self needs you to look at. This amazing team - journey usually will clear old wounds, memories, traumas, soul traps, false or holographic inserts, clear etheric attachments, and repair damages in your energetic field. It's been said that it helps improve pain from existing, heal potentials for future injuries related with emotional traumas. Systemic Family Constellation, to trace trauma in family lines. Akashic Reading helps to access events, thoughts, words, emotions, and intent that occurred in the past, present, or future that affects the present relationship between owner and dog. Intuitive Body System Scan, to help you look into several layers of the animals and your physical energetic systems. Etheric, emotional, and mental Body System Scan, helps clearing any attachments that come from contracts, fear or violent interactions, that can create blockages in the physical body. Etheric Template Body Scan. Balancing the a blueprint of the lower etheric body and where matter is shaped into the physical aspect. Memory Scan. We will be able to access past memories, release and correct trauma and mind control, limitations, and other thoughts or phobias of superimposition, stemming from collective or from personal mind control experiences and abusive rituals. Open the memory file cabinet and replace the corrupted files with crystalline perfect files. What does this do to my Animal? Having a balanced energetic field, free of interference, blockages and attachments, your beloved animal will be free to reach his highest potential. Faster recovery from emotional and physical trauma. From my understanding, research and comparing with ancient scripts and traditions animals agree to support their human friend in his spiritual and evolutionary path. When you decide to open a place in your heart and invite an animal in your life you confirm that agreement. This is where the real healing and experience starts. From my understanding the animal creates and additional connection besides his group consciousness. it starts a personal emotional relationship. True to his group soul behavior traits, but unique individual behaviors. As the animal reflects his "partner's" emotional state of mind, both get into an emotional relationship. While an Animal can appear in Archetype role we can identify three basic incarnation traits teachers, Healers, or companion/guides the human benefits from a teaching, healing or company/guidance and comfort. In more advanced relationships, for example human-dog relationships, both can share healing energy through an emotional interaction. Human and animals tend to share and exchange energy. Learn how to help your animal. What have people to say about that? Roman was so very gentle in his approach to my dog Thor and myself during our session. He explained the process then gently guided me to be the healer that I Am. No judgment or feeling rushed, just guidance and wisdom throughout. My first successful attachment removal and healing session with my beautiful Thor. Roman is gifted in many ways and I thank him for sharing his gifts with so many, including my family of Thor and I . Building ones confidence is paramount to being successful. I had a session with Roman Gottfried today, and I really didn't know what to expect. I knew that he had the desire to help me, and I was willing to see what he had to teach me. I have PTSD, and there are some days that I can't even get off the couch. My Mastiff, Mbali lays on top of me the entire time. 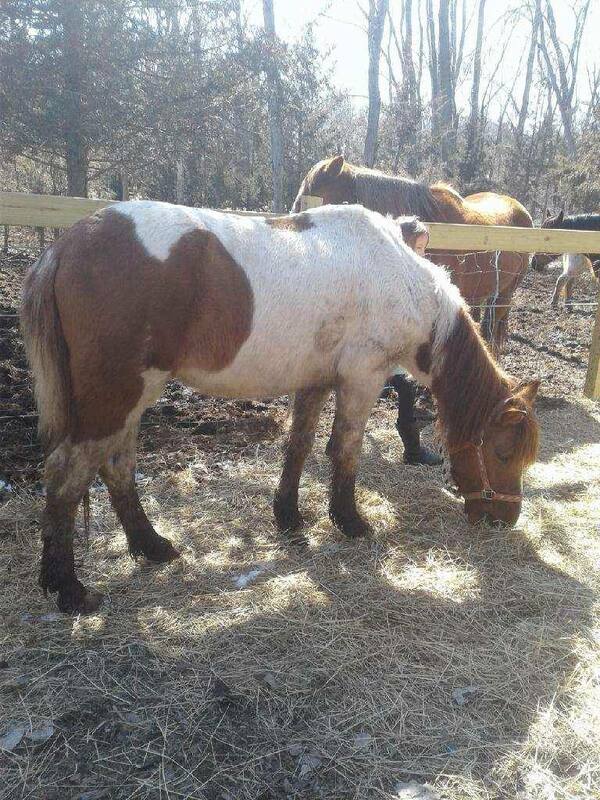 The Hidden Ponds Horse Rescue Farm is where I find peace. I have adopted Lightening; he too comes with baggage. 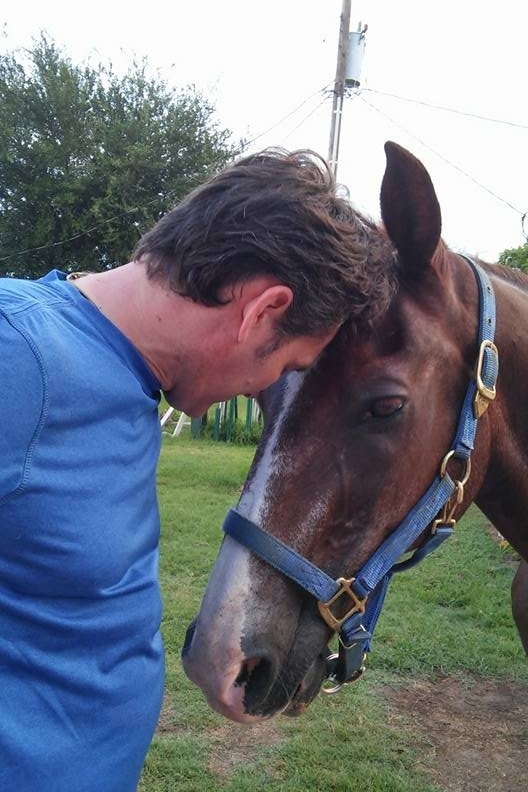 Roman taught me to connect to my higher power, and cleanse out negativity from not only me, but my horse. I need a great deal of practice because Roman gently talked me through the process. What did I learn today? I learned that it doesn't matter what humans God used to get me to earth. He sent me here for a reason. I have a right to ask the hard questions to the people that have damaged me. But most importantly, I can draw the light and power from God to heal. I appreciate everything that Roman did for me today. I will be practicing daily to take God's power through my body, and open the valve at my toes to release all of the negativity. "Roman just got done working on my dog Pong. I have had Reiki done on my dogs and relative to that this was mind-blowing. Roman can scan your dog for internal organ and skeleton problems, including blockages and attachments that sometimes get there through the relationship with the owner. I've had 3 crystal dreaming sessions. At first I was pretty skeptical that I would go into an "altered state". I'm trained in hypnotherapy and still have a hard time going into a relaxed state, so I was surprised at how quickly it worked! Crystal dreaming makes it easy to connect with my higher self to receive guidance, so when I'm feeling really stuck, I ask Roman for a session. His loving, intuitive guidance helps me move through the session effortlessly, so that i can get to the answer i need. Everyone should try it at least once. So I come from a family of dog breeders and handlers. My grandma and grandpa used to co-own UKC and both my grandma and mother are "famous" in the dog show world. I've personally also had a lot of experience with dogs as I was raised with 20+ and followed in my mom's footsteps as a dog-lover. I don't mention any of this for any other reason other than that I believe my testimony really goes to show that even the most experienced owners who have been "training" & raising dogs for decades can benefit from the support Roman can offer. During our session, Roman helped me see and comprehend the spiritual purpose that dogs have when they come into our lives. Specifically he guided me to observe the purpose of each of my 5 dogs have within my own life. 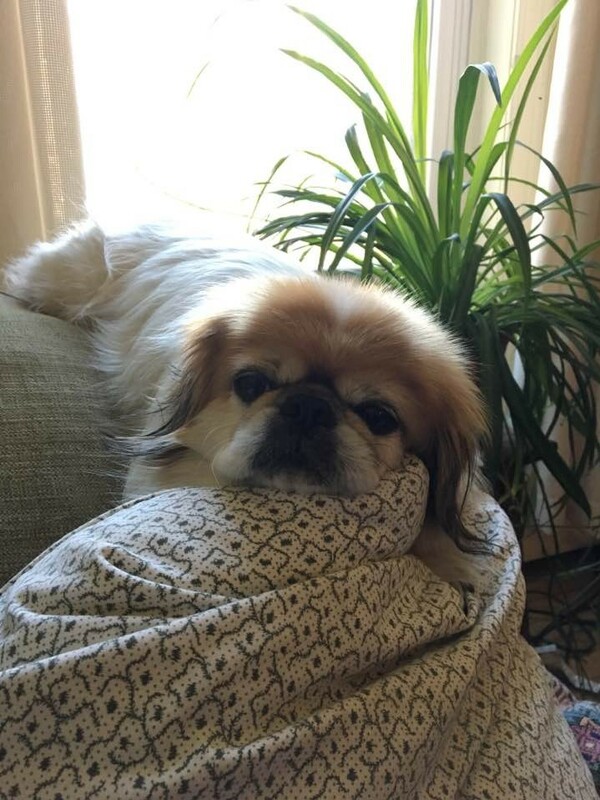 He facilitated a discovery of how dogs have been essential to my growth process and how they have helped shape my family's life and relationship together. Every question I asked him, he had a thoughtful response to and one that I could fit into my context of understanding easily. If you want to contact me please fill out the form below. Which country/state are you from? I would like to know in which part of the world you live in. "Let it be known, I, Roman Michael Gottfried, do not consent to any agreement of entrapment that bears intention to deceive, misinform, manipulate, exploit, control, steal, harvest, seduce, harm or negatively influence my being, in mind, soul, spirit, body and physical place of habitation, business, website or published works in any way across all levels, dimensions and time, whether they are fabricated linear or synthetic creations or times on all levels and dimensions. This includes all animals in my care, including their group consciousness that are in contract with me, in all time space, parallel timelines and universes, that are in compliance with my purpose. Let it be known that by my choice to NOT CONSENT to any agreement of entrapment on any level, on all levels, across all dimensions and for all time, it is in effect now and forevermore. I hold that such is true and in effect, that any such agreement of entrapment, deception, and harmful intention, now be DEEMED null and void based on the intention of its creator to harm and not honor my life, my sovereign being,free will and enslavement of humanity. I HOLD THIS TO BE IN EFFECT IMMEDIATELY ON ALL LEVELS AND ALL DIMENSIONS OF TIME AND SPACE, PAST PRESENT AND FOR THE FUTURE CYCLES OF TIME. So be it."